Everything you need for an entire room! 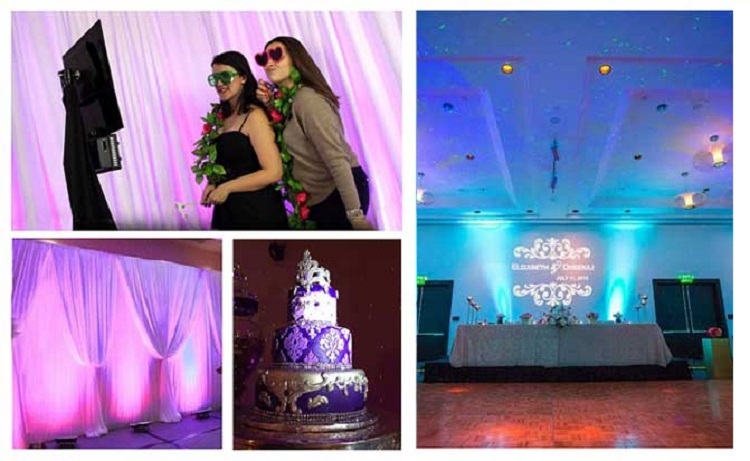 Lighting package includes uplighting, custom monogram light, and spotlight. Rent for just $299 + free shipping. Setup? Easy! Place uplights on the floor, up against the wall. Put spotlight near cake or centerepiece. Set monogram light on a table and aim at the wall. WHAT SIZE PACKAGE DO YOU NEED? It's easy! Just choose your package size based on the number of guests you expect. Want a personalized estimate? 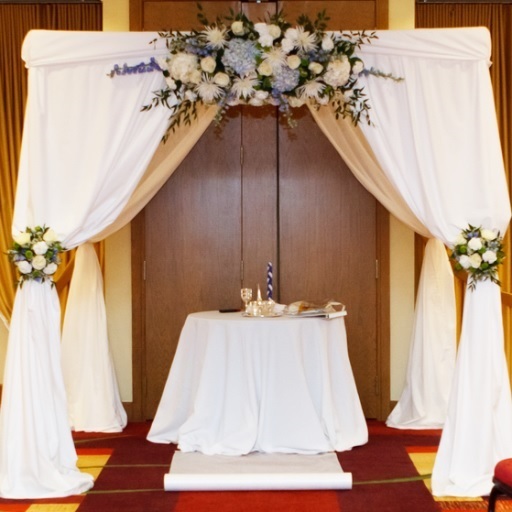 Click HERE and we'll send you a customized quote for your venue! Such a great deal! The lighting package came with everything we needed. 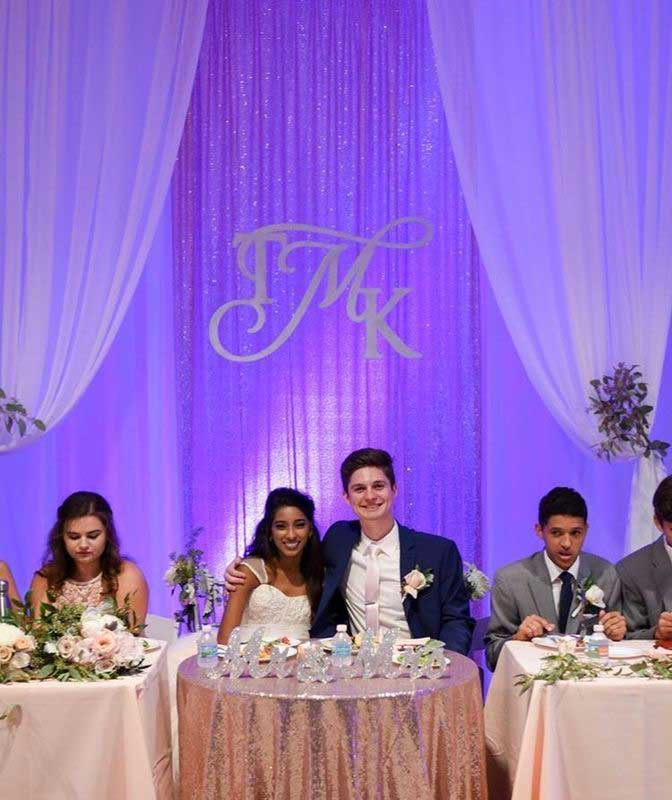 Our reception looked AMAZING! This is the complete guide to event lighting and wedding lighting! 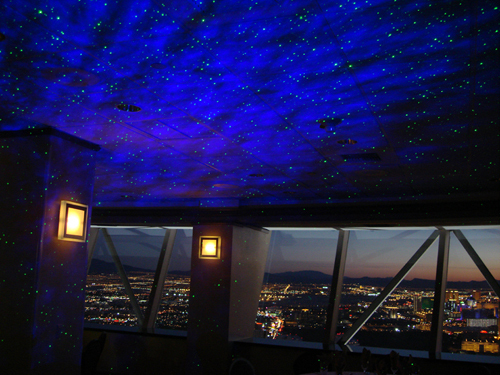 Learn about types of lighting, lighting advice, and ideas for saving money on event lighting! Read on to learn everything you need to know about event lighting! WHAT IS EVENT LIGHTING? Event lighting is a special type of lighting that changes the look and mood of a room. 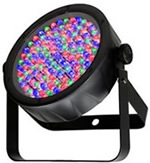 There are many different types of lights that are used for event lighting. 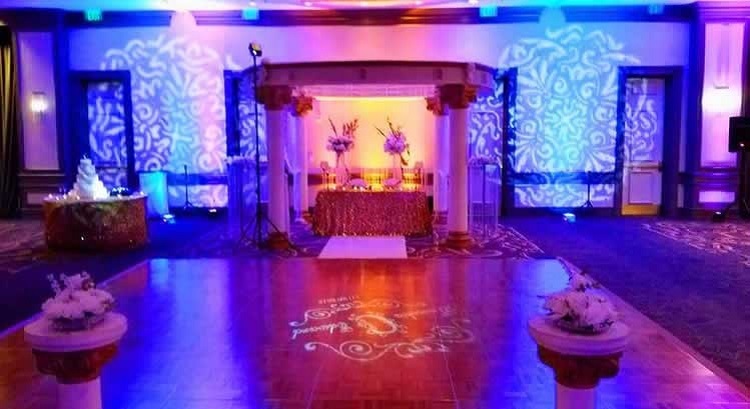 The most common types of event lighting include uplighting, monogram lights (also called gobo lighting), pinspotting, starry night lighting, water effect lighting, black lights, and moving heads. Each light creates a different effect, such as adding color, making the room glow, projecting words and images, or shining moving beams of light. Event lighting is an effective way to enhance an event and transform the atmosphere. HOW MUCH IS A LIGHTING PACKAGE? The lighting package starts at $299, which includes 10 uplights, 1 monogram light, and 1 spotlight. 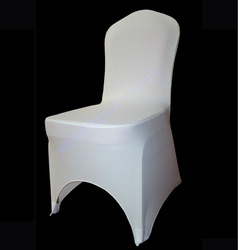 There are also larger package sizes available for larger event. All prices include FREE shipping both ways. Our lighting package includes the most popular types of event lighting. 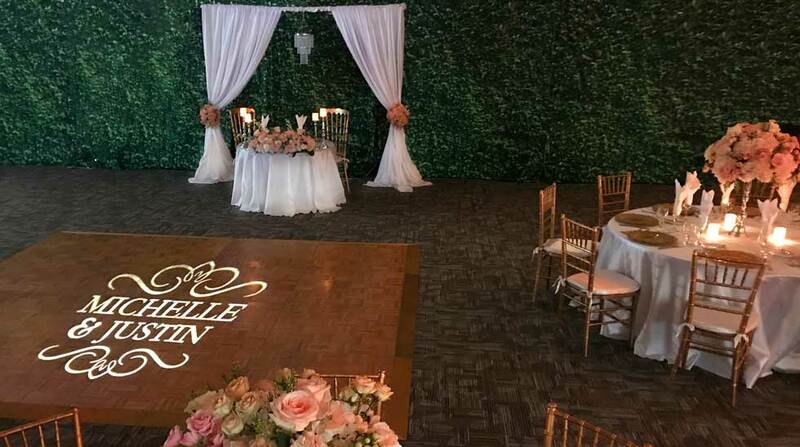 This includes uplighting, gobo monogram lighting, and pinspotting. It's super easy to setup event lighting - no experience required! It takes about 30 minutes to setup the entire lighting package. 1. Place uplights on the floor, up against the wall. They will illuminate the walls in any color. 2. 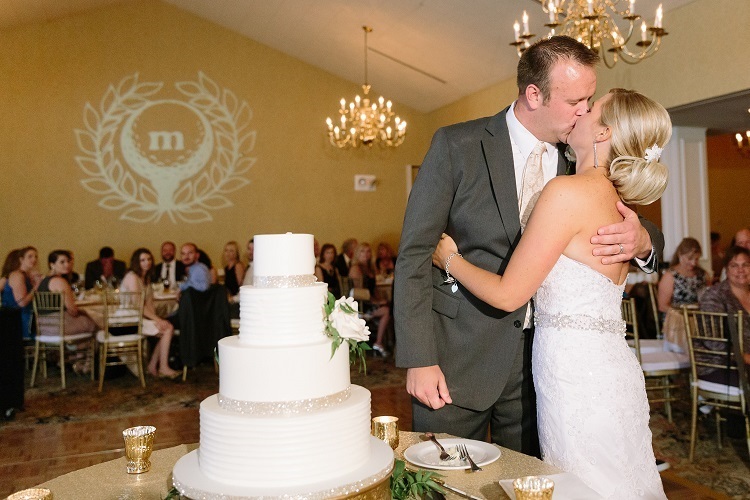 Set the monogram light on a table or tripod. Aim at the wall or dance floor. 3. Put the spotlight on a table and aim at a cake, centerpiece, or anything else you want to highlight. You're done! The room will instantly be transformed with lighting. That's all it takes to setup DIY event lighting! WHAT DO THE ACTUAL LIGHTS LOOK LIKE? 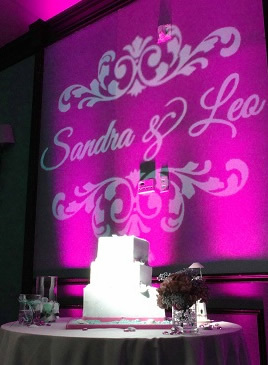 Here are photos of the uplights, monogram projector, and cake spotlight included in the lighting kit! Wondering how to rent event lighting? It's super easy! 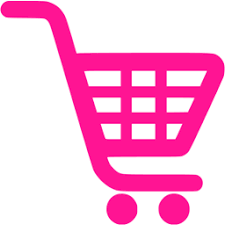 Just place your order online, and we deliver everything to your door. Afterwards, send the lighting back in the same box. Shipping is always FREE both ways nationwide. Click HERE to learn more about how it works to rent a lighting package. To learn more about each product included in our lighting package, click the links below. 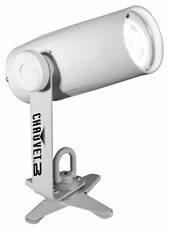 WHERE TO USE EVENT LIGHTING? Event lighting can be used for many different types of venues! 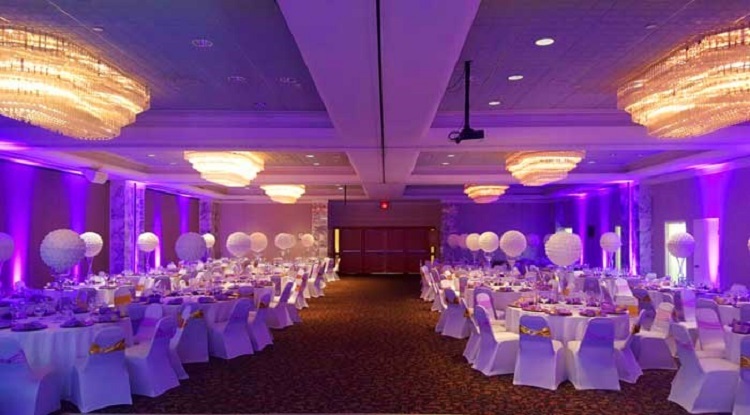 The most common way to use event lighting is to transform a banquet hall. 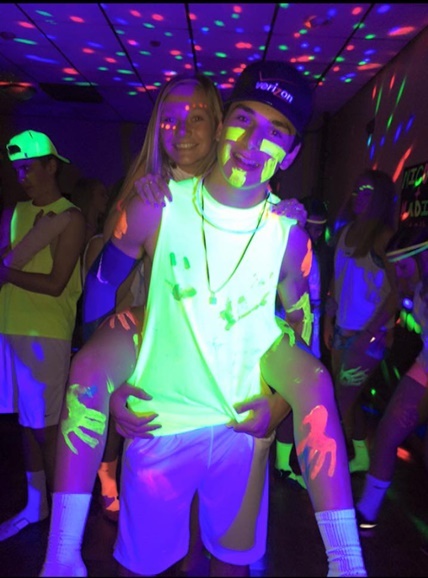 The lighting package can also be used for tents, school gyms, conference rooms, outdoors, or even your living room! The options are unlimited! Check out our tutorial videos to learn how to setup uplights yourself! You won't believe how quick and easy this is for anyone to do! Wondering where to find inspiration for event lighting design? Check out these event lighting resources! · Pinterest: Our Pinterest page features thousands of photos organized in albums to help you find your favorite event lighting style. Wondering how many lights you need or what size of package to order? Check out this CALCULATOR to get a quick estimate, or click HERE to get a customized quote! Do you have a floor plan for your venue? Email it to us and we'll mark up your floor plan to show you exactly where to place each light! You can also speak to a lighting expert by phone at 1-800-465-8020. Not sure where to start with event lighting? We're here to help! 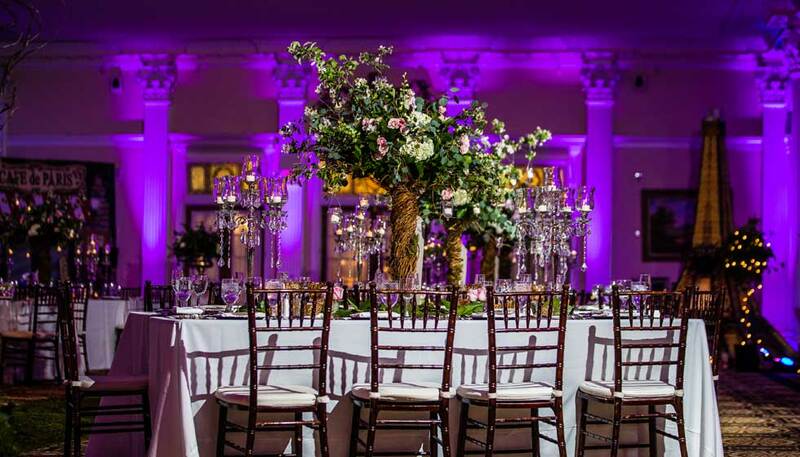 Whether you need assistance with estimting quantities, figuring out which type of lighting to use, or where to put the lights in yoru venue, we've got you covered! Receive a free event lighting consultation today. Contact our lighting experts today at 1-800-465-8020. Are you looking for ways to save on budget for wedding lighting? Do-it-yourself event lighting is the best way to save! By setting up the lighting yourself, you can save hundreds -- or even thousands -- of dollars! Looking to learn more about online event lighting rentals? Click HERE to check out our FAQ page with all the details! 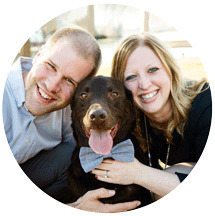 After working with thousands of clients across the country for 7+ years, we've heard it all! Here are the top questions and answers about event lighting. · Do I need to hire a pro for event lighting? No! You don't need to hire a pro for event lighting setup. Our lighting package is designed for easy DIY setup. Absolutely no experience required! 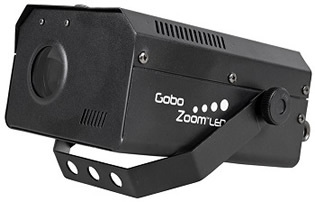 · Why does event lighting cost so much more elsewhere? We don't know! But we DO know that it doesn't have to cost you an arm and a leg to get event lighting. Our lighting package uses the same lights used by professional lighting companies. You can get the look for much cheaper simply by setting up the lighting yourself. · Is this for real? We often hear prospective clients asking whether the lighting package is too good to be true. They are always THRILLED once they receive the package and see just how easy it is to setup the event lighting! Clients are always telling us that renting lighting turned out to be the easiest and most hassle-free part of their event. Check out our REVIEWS and watch our how-to VIDEOS to see just how easy it is to set up do-it-yourself event lighting. And, don't forget - we have a 24/7 helpline in case any questions pop up during your event! · How to get cheap event lighting: If you're looking to get "cheap event lighting" or "show me event lighting," then you came to the right place! 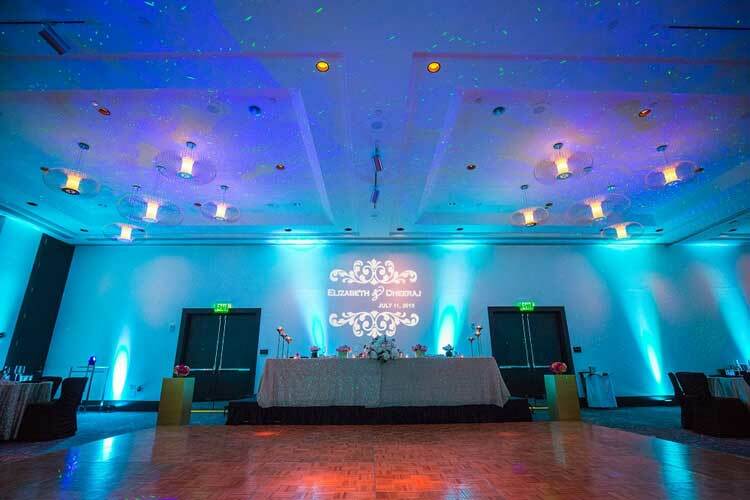 We help you create an amazing look for less with inexpensive event lighting rentals. The rental cost is just $299 for the complete kit, including free shipping both ways. · Find local event lighting: Wondering where to get event lighting locally? We deliver everything directly to your door! 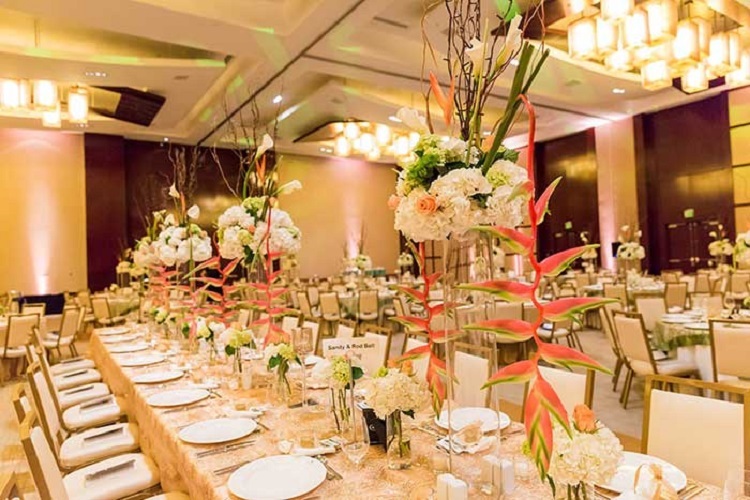 You've come to the right place if you're wondering "where to get event lighting near me." 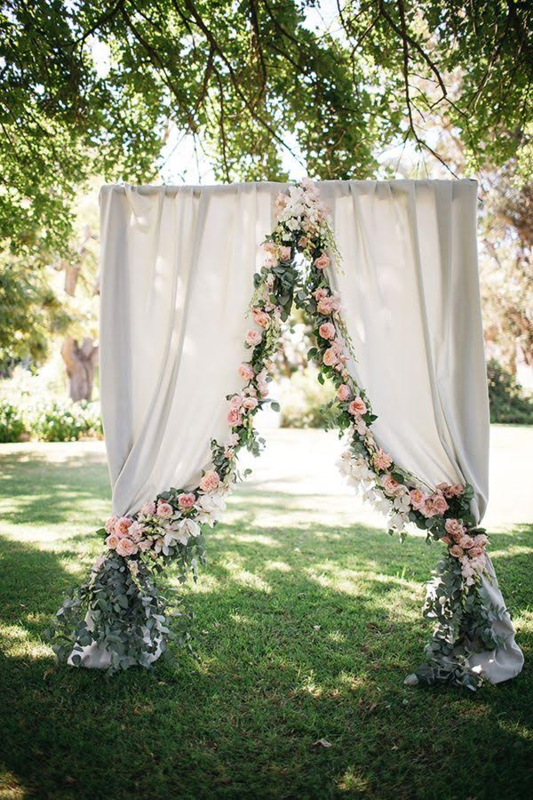 · How to plan a dream event on a budget: Want to know a secret? Event lighting is the #1 way to makeover a venue! Event professionals and DIY clients alike are always telling us that they can't believe the huge imact that event lighting made on their event. That's our Complete Guide to Event Lighting! We hope you enjoyed reading about how anyone can use event lighting to create an amazing event. Perfect for wedding couples, DJs, event planners, schools, corporate events, or wedding professionals. For more information, contact us at 1-800-465-8020. Otherwise, if you are ready to get started, click below to rent event lighting!